- Will the NFL's blatant lies about Ted Wells' independence even hurt them? - Bob Cousy turned 87 on Sunday. It is hard to come up with a player who impacted his pro sport as much as Cousy but somehow has gone more under-appreciated. We still love ya Cooz! - Heh heh. I like places that look nice and I'm not even British! - Just became a fan of Dr. Roy Spenser and his views on Climate Change. 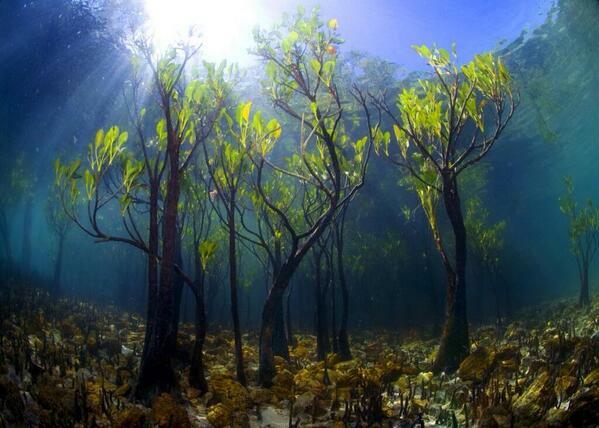 - Very cool photos - underwater mangrove trees and salt plains after rain. - If you've ever wanted to be a screenwriter or were ever curious about the process read this!